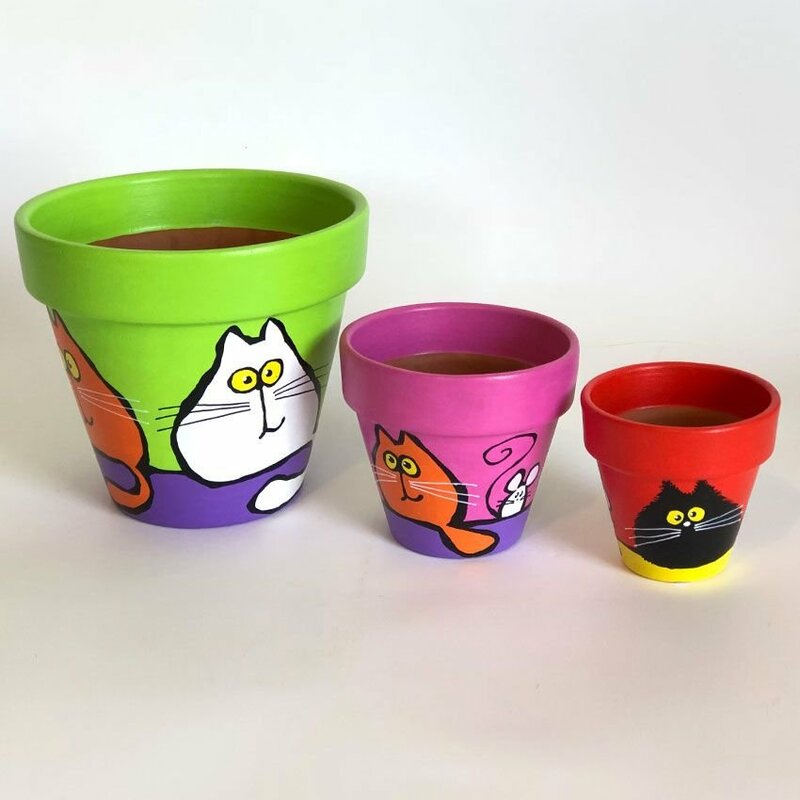 Terracotta Cat Planters - Hand-painted, terracotta planters. Suitable for indoor or outdoor environments. Waterproof sealed.